Objectives: Build network in north Texas, teach people how Holistic Management of herd health can reduce expenses and contribute to the financial bottom line, practice testing decisions about herd health, monitoring for indications herd health might be declining. Discuss the relationship between choosing the right animals and their performance in the herd. Discuss the relationship of livestock health to human health. This is a rain or shine event, and we will be spending part of our time out on the land. Please bring appropriate clothing and footwear for the weather du jour. 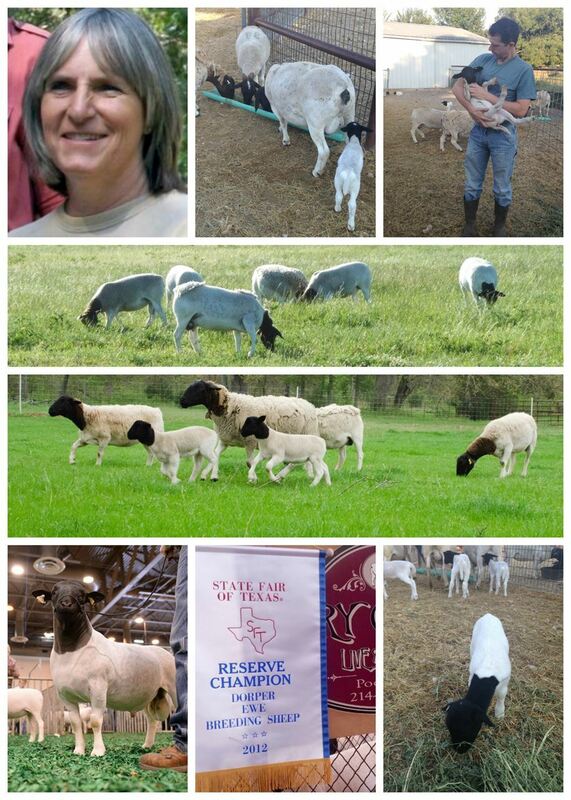 Dry Creek Livestock is owned and operated by Lauri and Dr. David Celella. It began in 2008 with the purchase of 2 bred Devon cows on an overgrazed 50-acre tract of land. In 2011 they purchased 4 Dorper sheep for 4-H projects. In 2013 Lauri entered the Beginning Women Farmers and Ranchers of Texas, BWFRTX Program and the following year began her quest to become a Holistic Management Certified Educator. In the beginning the Celellas would have to feed up to 15 rolls of hay to less than 10 cows. Today after 5 years of planned grazing that has greatly improved the soil, they did not feed any hay and have maintained a flock of 60-90 Dorper sheep and 11 Devon cows. They credit HMI with giving them knowledge and a tool box to deal with the extreme East Texas weather, which has included 3 floods and a 100+ days of no rain in 2015. The Celellas are committed to helping people learn to manage their animals for vibrant health. Some of this information exchange will happen at the comfortable facilities of their Rockwall Equine Center and Poetry Animal Hospital. Then drive 2.19 miles 1Turn right onto TX- Hwy 205 / S Goliad St.
Then drive 11.85 miles Turn right onto FM 1565. Turn right onto County Road 2432. 1st Road to the right. Then drive 0.8 miles At 0.8 miles on right. Sign says Rockwall Equine Center on gate. At bottom of hill.